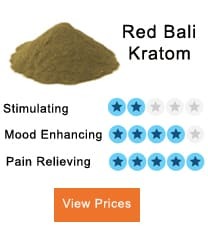 Extracts are the products of kratom like green Malay, Indo, red veins, green veins, white veins, maeng da, Bali and many others, which have higher prices than the kratom powder as the potency in these products are higher as compared to the others. These extracts are made by a procedure of boiling the leaves, which will make them strong enough to be enough to use with small dosages. In this article, we are going to discuss whether the extracts of kratom are useful or dangerous for the users. The extracts of kratom are created by a process which involves the crushing of the kratom leaves and then boiling them and letting the water evaporate from then. After the boiling of the leaves and removal and filtration of the contents of the water, a form of paste is left behind which is very thick and consists of very high alkaloids concentration. If this thick paste is allowed to be turned into a solid form, it is then known as resin, and it is black. The resin is then made into a powder form, or a liquid tincture can be prepared from it. Extracts are made to save the alkaloids of maximum concentration present originally so that a better form of kratom can be made available for the people who are looking for it. Many different alkaloids are present in the kratom leaves, but the most popular of all are mitragynine, 7-hydroxymitragynine, and mitraphylline. Kratom extracts are recognized through different grades, for example, 1x, 5x, 10x or it may be made with a higher number depending on the specific kratom strain. We take an example of 10x to explain it. Most of the people think that 10x shows ten times more strength of kratom extract as compared to the kratom powder or leaves, which is an incorrect perception. In actuality, the process of making an extract is started with 10 grams of crushed leaves in case of 10x, which is then minimized to 1 gram. 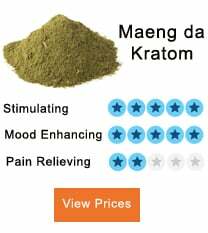 Is a Higher Kratom Extract Better? It is not necessary that the higher kratom extract be better according to the multiplication factor used with the names of different extracts. So, whenever you find the products with written numbers of 50x or 100x, do not trust them because a product which is a full spectrum extract would be under the grade of 20x. Otherwise, a concentration of alkaloids content is lost when the process of purification is done. Extracts are the stronger concentration of alkaloids, and they produce better results if compared with kratom leaves or powder, but they also have some risks involved in their use. 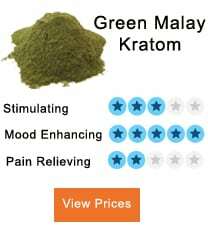 Kratom extracts are more expensive products than other forms of kratom. It has more side effects as well. Chances in case of the use of extracts are more for tolerance to kratom and the dangers of kratom withdrawal too. Kratom Extracts would be more dangerous for the beginners as they, without having any experience, cannot accept such a high dosage of kratom.